Rabbi Mordechai Schornstein served as a rabbi in Copenhagen, Denmark, and moved to Palestine in 1935. 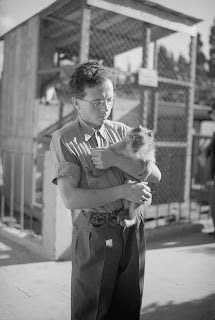 On his way to the Holy Land he stopped in Italy and purchased birds and small mammals to start a pet store in Tel Aviv. 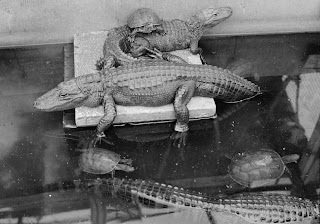 His collection grew, and in 1938 he opened a zoo in a residential area of Tel Aviv. 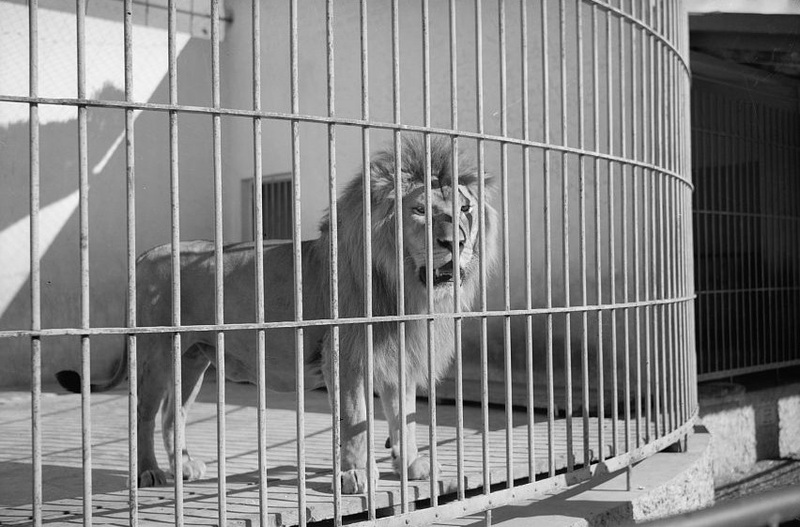 With the arrivals of lions, tigers and elephants the zoo was forced to moved and re-housed at a location not far from Tel Aviv's City Hall. 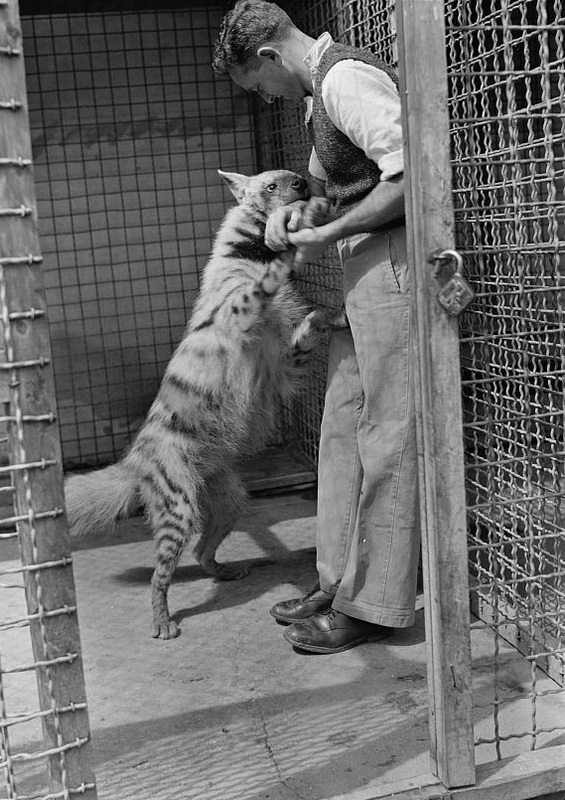 Urban growth, however, meant that Tel Avivians did not want a zoo in their midst. 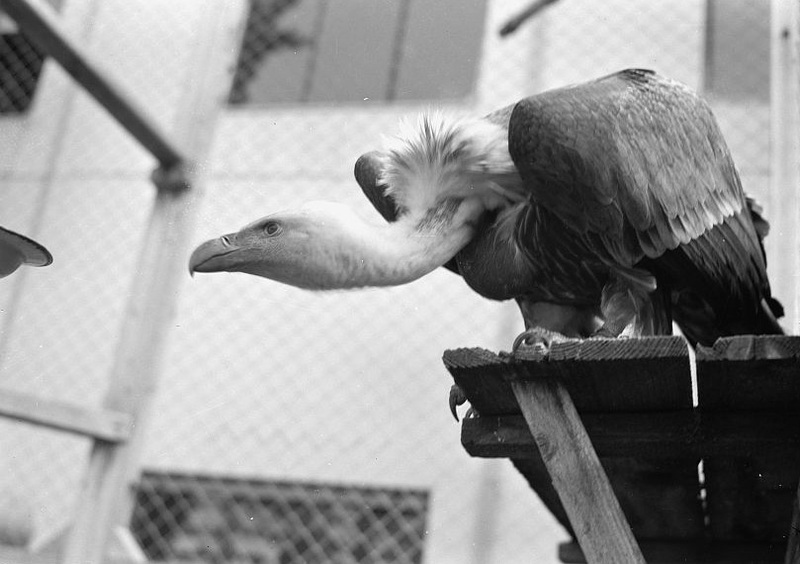 Public awareness of animal care and zoo overcrowding forced another move in 1980, this time to a large Ramat Gan park nearby. 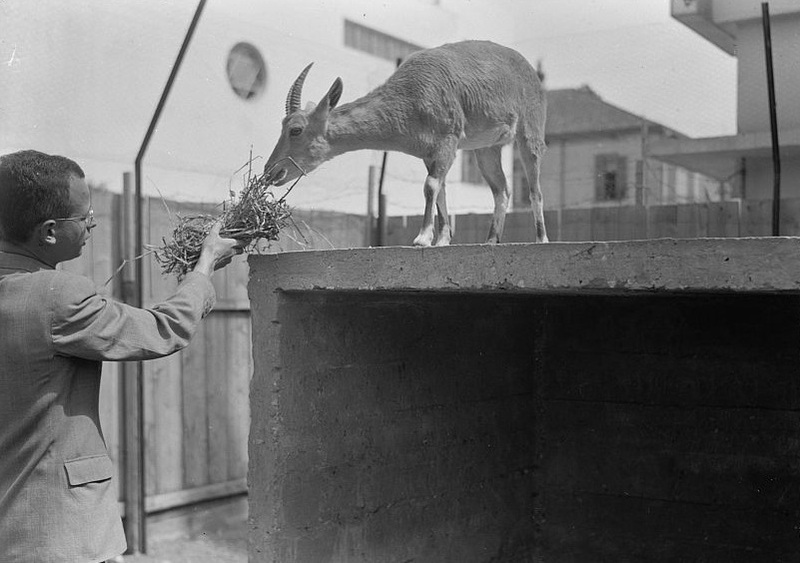 The 250-acre "Ramat Gan Safari" now contains some 1,600 animals. The Library of Congress-American Colony Photographic Department captions lists the pictures as taken between 1936 and 1939. The zoo's timeline, however, suggests that 1939 was a more likely date. "Ibex, the wild goat of the Bible"